Ani Hoover is a professional artist working in the field for over 20 years. She began her art career as a painter and received both a BFA and MFA for painting. 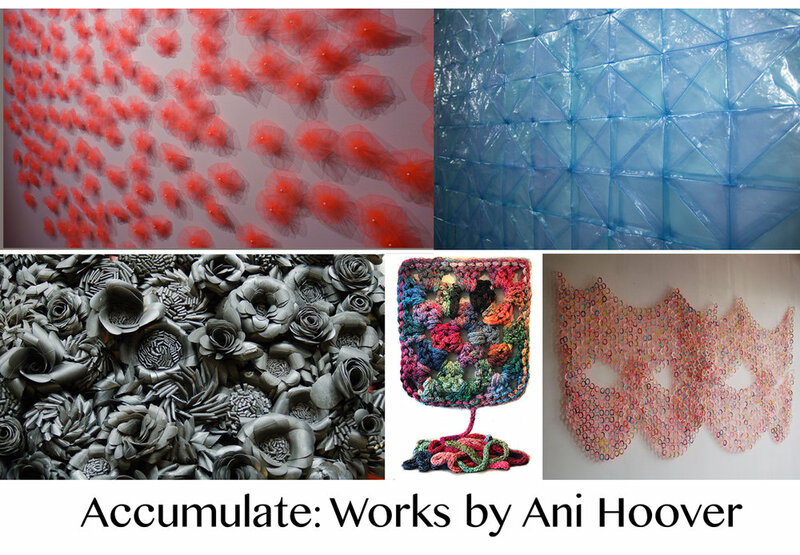 Around 2010 her work began to shift to focus on sculpture, installation and fiber-based practices. Her process embraces recycled materials and low-tech methods for creating art. She favors materials and processes that link her the DIY movement and craft making culture. Hoover’s work is in the collection of the Albright-Knox Art Gallery, the Burchfield Penney Art Center, the University of Buffalo’s Anderson Gallery, and in many public and private collections around the country.